According to No Story Too Small: In 1880, there was a special census schedule for “Defective, Dependent, and Delinquent Classes” — the blind, deaf, paupers, homeless children, prisoners, insane, and idiotic. I don’t have a direct ancestor listed on this special census (that I’ve found), but I have an aunt, the sister of my great grandmother, who went through quite an ordeal, one that ultimately led to her demise. 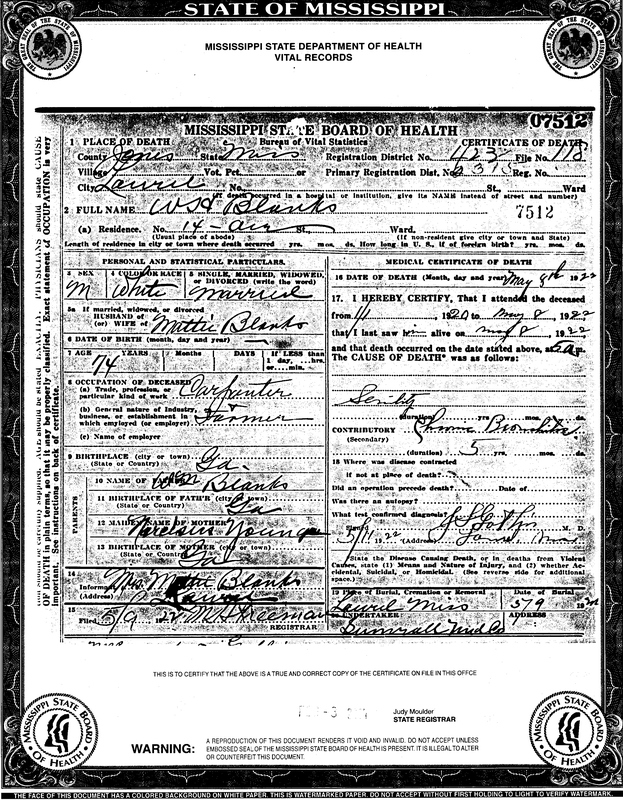 Ora Alice Blanks was born in 1889 to William Henry Blanks III and Martha Lettie “Mattie” Carpenter. She was the second youngest of six girls. To understand her fragile state, one must understand her parents. Her father was born in 1846. By the age of thirteen, his mother and father had both died. He served in the Civil War 1861-1865 and after the war, at the age of 21, he married Mattie. Mattie’s childhood was even worse. She was fourteen when her father was killed in the war. Typhoid swept through her family at the same time, killing her baby brother, her maternal grandparents, and a host of aunts, uncles, and cousins. She lost seventeen family members in that year. Yes, you read that right. 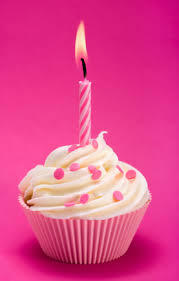 Seventeen. In one year. I imagine the trauma of losing loved ones at such young ages was hard on both William and Mattie and may have been the bond that united them, but how do you think they functioned as emotionally-damaged parents? Ora and her sisters grew up in Mississippi, and at the young age of sixteen in 1905, Ora married Shelly Houston Bates. A year into the marriage, they had a son. Four years later, another son. And four years after that, a daughter. Two years later in July 1916, they had their fourth child, William Lenard Bates. This is a photo of the family just before disaster struck. On 29 May 1917, ten-month-old baby William died of enterocolitis, an inflammation of the digestive tract and intestines. The family moved to Alabama to get a new start because Ora was taking the death so hard. She was seen by a physician. I don’t know what kind of medication was prescribed in 1917, but it may have hastened Ora’s decline. She died 2 Sept 1917, just over three months after her baby, and her death certificate states she died of acute melancholia and convulsions. 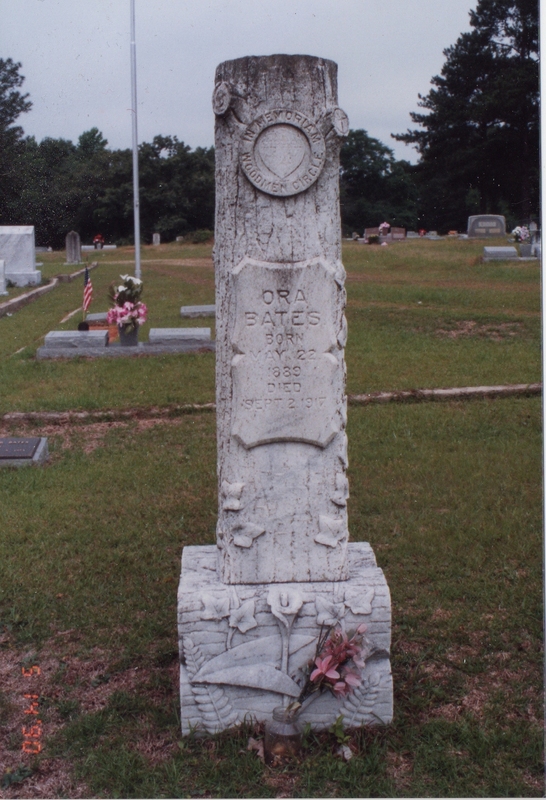 The heads of many relatives and friends are bowed in grief at the news of the death of Mrs. Ora Bates of this city. This sad occurrence took place Sunday morning at 8 o’clock, following a nervous breakdown. Three months ago she was taken to Selma, Ala., where all hoped that the change would be of benefit to her. It was in this city that the sad end came, bringing sorrow to her husband, Mr. S. H. Bates, and her three small children, besides a multitude of relatives and friends. The kindness of the Selma Grove of the Woodmen Circle, No. 48, was generously tendered and was appreciated beyond words, Mrs. Bates being a prominent member of the Laurel Grove. Her body was brought to Laurel on Monday afternoon and was met by a devoted delegation of the Laurel Grove of the Woodmen Circle. These ladies accompanied the remains of their much loved member to the Bates home and did all in their power to be of help and comfort at this time when it was so needed. The funeral services followed yesterday afternoon at 4 o’clock, with the interment at the Hickory Grove cemetery. Deepest sympathy is extended especially to Mr. Bates in the loss of his lovely young wife, who was only 26 years of age. 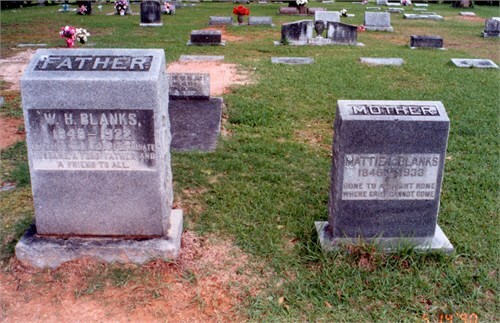 The one wedding date that sticks out to me is that of my 2nd great grandparents William Henry Blanks III and Martha Lettie “Mattie” Carpenter. According to the Lauderdale County, Mississippi Marriage Brides Book 1, page 430, they married October 31, 1867. He was 21 and she was 18. 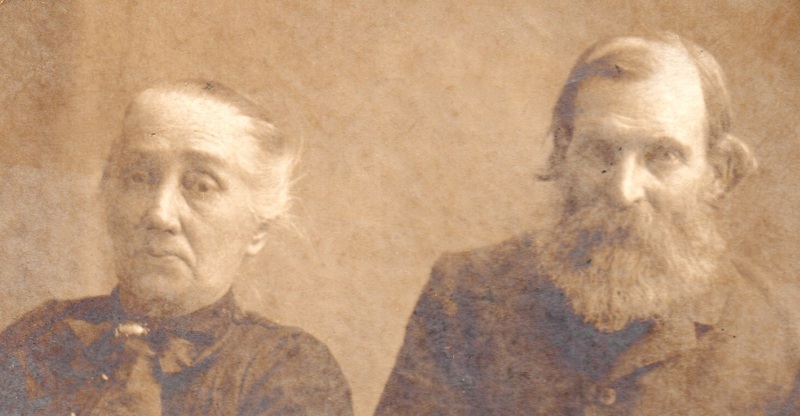 He had lost both of his parents before the age of thirteen, and she had lost her father in the Civil War when she was only fourteen, so I assume they had a deep connection because of that. I wonder if their parenting style was unemotionally cold or over-protective due to their own losses. There is no way they escaped losing their own parents at such young ages without carrying deep emotional scars. William III was the son of William Henry Blanks II and Nancy Narcissus Young, and the grandson of William Henry Blanks I and Jane Hill. Seeing a pattern here? 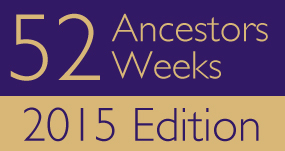 The Blanks family’s American roots date back prior to 1660 Virginia. I’m not sure where they immigrated from. William the elder was born in Virginia in 1755. He was a captain in the NC militia during the American Revolution. He died in Greene Co, Georgia in 1823 at the age of 68. Greene County is in the middle of the northern part of the state, and in 1800, was on the border of Creek Indian land. The War of 1812 saw a lot of fighting between the Americans and the Creek. What in the world possessed these people to live on such a wild frontier? William II was born in Georgia in 1800 and was a young boy during the War of 1812. He died in Mississippi in 1859. William III was also born in Georgia in 1846 and shows up in the Lauderdale Co, MS census in 1850 at the age of four. Note: In 1830, the Treaty of Dancing Rabbit Creek was signed, giving the Choctaw and Creek Indian land, now Alabama and Mississippi, to the Americans. This is why we see such a migration to the area between 1830 and 1850. Land was cheap and the gov’t wanted to get it settled. Anyway, William III was the youngest of seven children and was only 11 when his mother died and 13 when his father died, leaving everything to him and his 16-year-old sister Nancy. I can only imagine how emotionally damaging those deaths were for him at that young age. William III served the Confederacy in the Civil War under the command of John Cochran in Lauderdale County, MS. 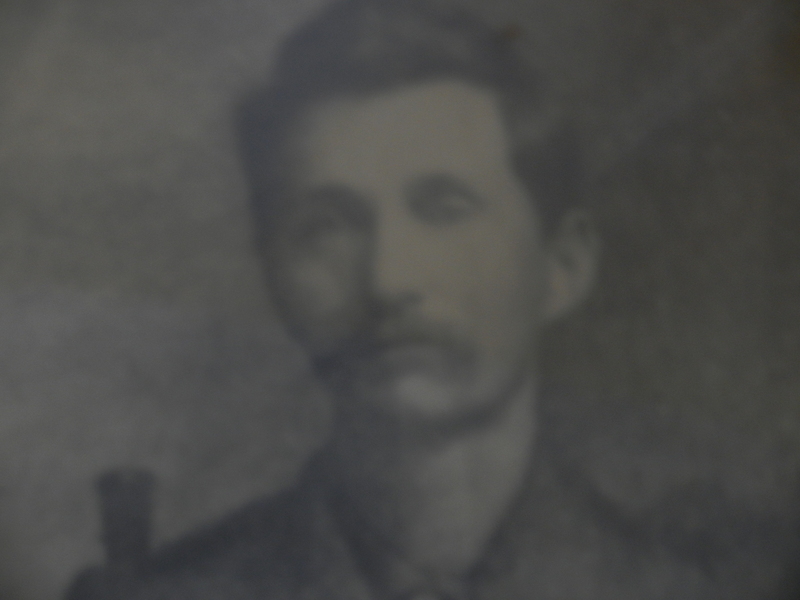 He enlisted in 1862 and was still in active service at the close of the war in 1865. 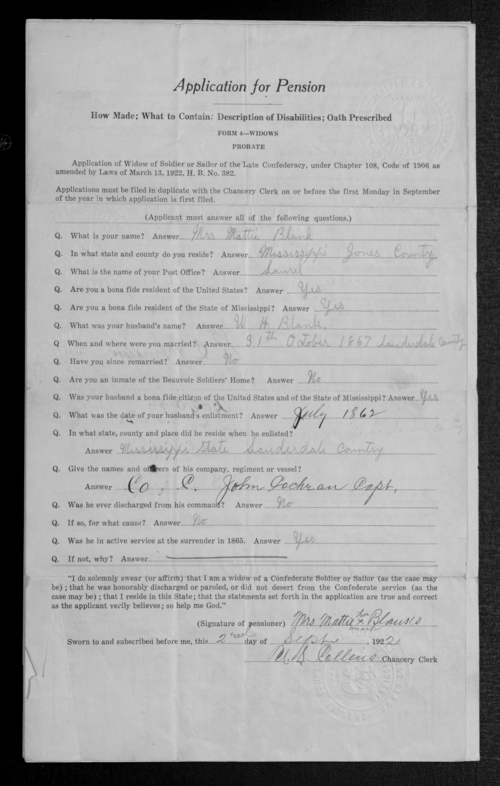 On Oct 31, 1867, he married Martha Lettie “Mattie” Carpenter in Lauderdale Co, MS. He was 21. She was 19. Mattie’s father was killed in the war in 1862 when she was only 14, so she knew all too well how hard it was to lose a parent. I assume that was one of the deep connections William and Mattie shared. William and Mattie had 6 girls: Ida, Ada, Annie, Sarah, Ora, and Velma, and I heard there was a boy, John, who died as a small child, though I have no paper trail of him, only verbal history. William III died in 1922 at the age of 74 of senility and chronic bronchitis. Mattie died at the age of 84 in 1933 of cerebral hemorrhage. They are laid to rest at Hickory Grove Cemetery in Laurel, Jones County, MS.
On This Day in 1877, a beautiful woman was born. 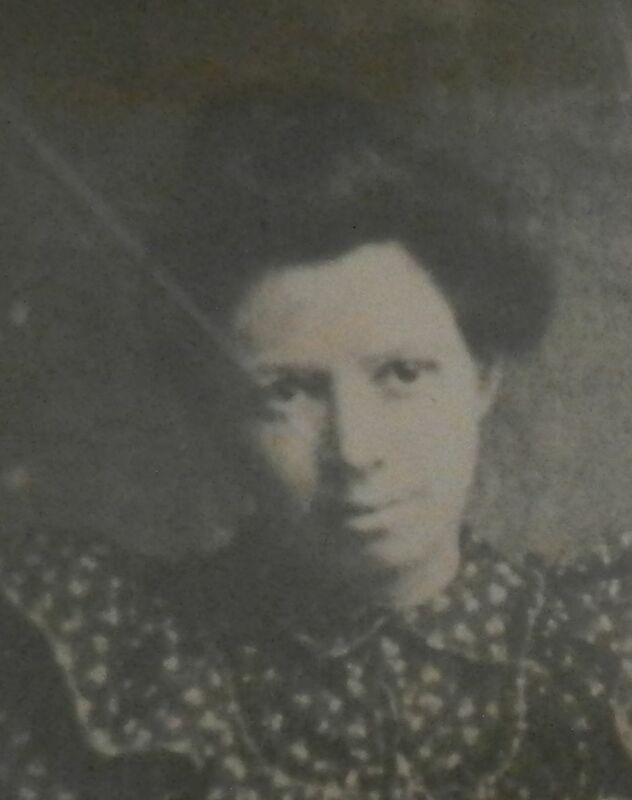 On November 10, 1877, my great grandmother, Josephine Annie Blanks Culpepper, was born in Kemper County, Mississippi to William Henry Blanks III and Martha Lettie “Mattie” Carpenter. She was in the middle of seven children, six of them being girls. 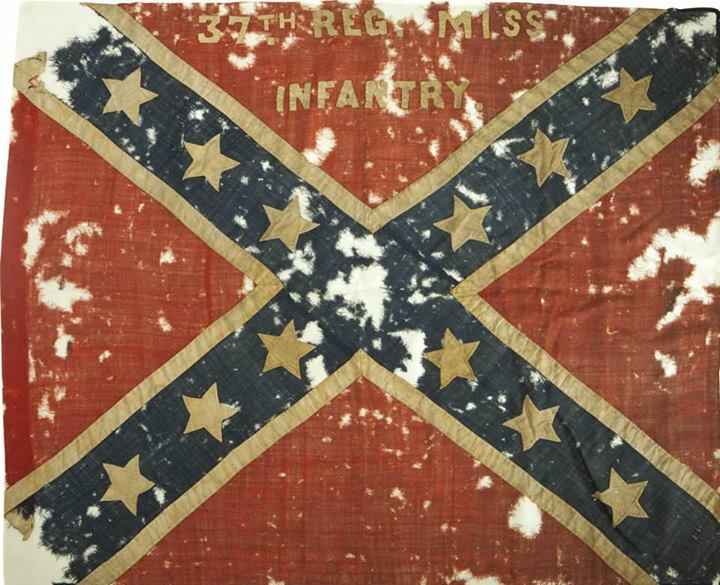 Her father was a teenager when the Civil War took place and fought as a private in the 2nd Mississippi Infantry Company H. Her mother was a young lady of fourteen when she lost her own father at the Battle of Stones River on December 31, 1862. I can imagine as parents, they did their best to keep the peace in the household, but there is a distinct possibility they both had emotional scars from the trauma each had seen and faced during the war. Annie grew up on a farm in Daleville, Mississippi, and with eleven aunts and uncles in the area, one must assume she had plenty of cousins to play with. She witnessed amazing technological changes as home comforts such as indoor plumbing and electricity moved from the nearby city of Meridian to the country, and paved roads reached homes throughout the area at the turn of the century before the Model T made its first appearance in 1908. 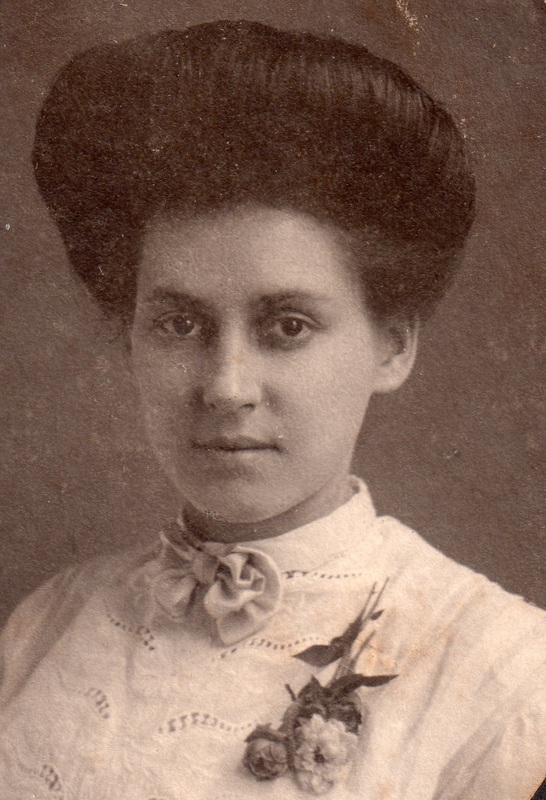 In 1899, she met handsome William Samuel “Sam” Culpepper, and they married when she was 21. She said about him, “Sam was really a handsome man with rosy cheeks, dark curly hair, and teeth as white as pearls.” Sam was described as a kind fellow who always had a twinkle in his eye and a smile on his face. He loved fishing, squirrel hunting, and playing the family’s old pump organ. He was a sawyer by trade and followed the sawmill business, often being gone for weeks at a time. 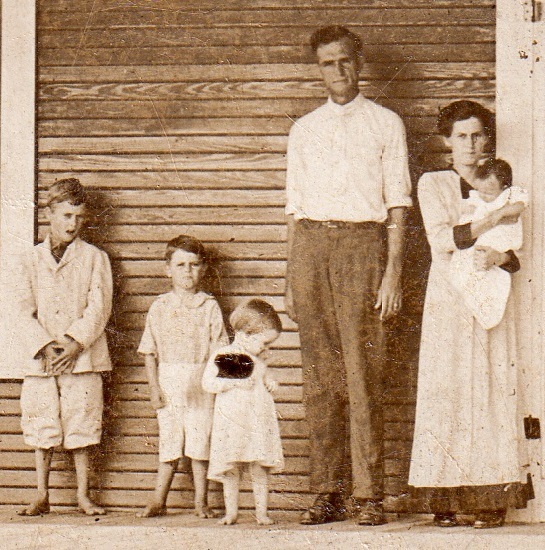 Fortunately Annie and Sam had five boys and four girls between 1900 and 1921, and the boys were taught to run the farm in their father’s absence. He was said to have been a strict but loving father. 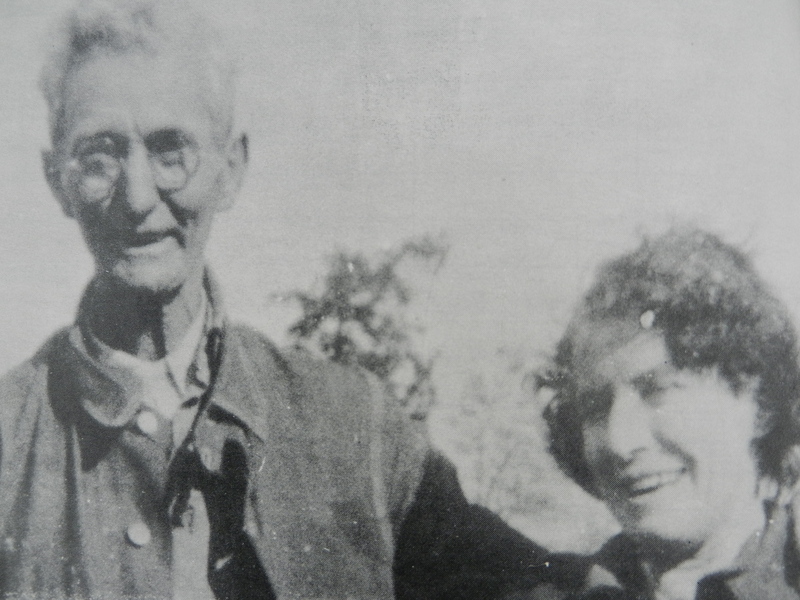 After their youngest child married and moved out in 1938, one would have expected they lived out their retirement in comfort, but sadly, Sam suffered from high blood pressure, and his life was cut short by a stroke at the age of 66, on December 10, 1939. Annie never remarried. In her later years, she moved to Mobile, Alabama and lived with their sons who had relocated there. She passed away at the age of 84 on November 15, 1961. She is laid to rest next to her husband at Mt. Nebo Cemetery in Kemper County, Mississippi. Funeral arrangements were being completed today for Mrs. Anne Blanks Culpepper, 84 of Mobile, a former resident of the Martin community who died yesterday at Mobile. Mrs. Culpepper was a member of the Duffee Baptist Church and had been active in its various organizations until she suffered a broken hip three years ago. Her two daughters are Mrs. Mae Howington of Meridian and Mrs. Aaron Spears of Enterprise. 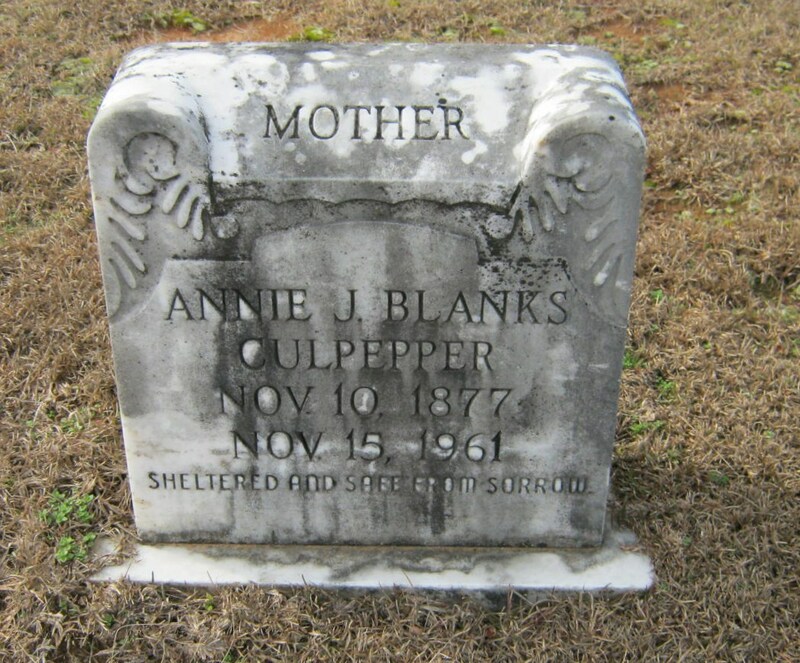 She is also survived by five sons, Joe Culpepper of Susqualena; Earl and Clinton Culpepper, Meridian; Fred and Frank Culpepper, Mobile; and two sisters, Mrs. Woodie Logan and Miss Velma Blanks of Laurel. The body was to arrive in Meridian this afternoon and will be at Stephen’s. The service will be held at 2 o’clock tomorrow at the Mt. Nebo Baptist Church with Rev. Herman Pilgrim in charge, assisted by the Rev. Vernon Blackburn. Interment will be in the Mt. Nebo Cemetery. 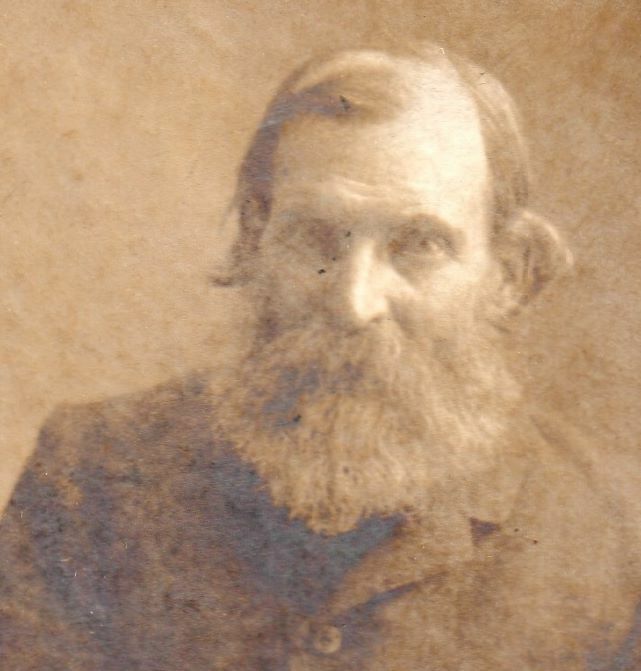 On This Day in 1800, my 3rd great grandfather, William Henry Blanks II, was born in Greene County, Georgia. It’s pretty easy to trace your great grandfathers when your 2nd is WHB III, your 3rd is WHB II, and your 4th is WHB I. Sadly, I don’t usually give the middle grandfather much thought. I have photos of the Civil War soldier 2nd great, and the 4th great was a Revolutionary War soldier, so I have lots of info on him. Somewhere in the middle, my poor 3rd great doesn’t get much attention, Well, today on his birthday, let’s show him some love. William Henry Blanks II was born October 12, 1800 (Same day as my daughter’s birthday!) in Greene County, Georgia. In 1800, Greene County was in the middle of the northern part of the state and was right on the border of the Creek Indian Territory to the west. Keep in mind, the War of 1812 in the north was fought between the Americans and the British, but the war in the south, particularly Alabama and Georgia, was fought between the Americans and the Creek Indians who had been armed by the British. This was the edge of the frontier in 1800. William Henry’s father had been previously married to Mariah Robertson and had two girls and a boy – Mary Polly, Littleberry, and Nancy – in Virginia. Sometime between 1795 (last child’s birth in VA) and 1799 (wife’s death in GA), the family had moved south to Georgia. Following Mariah’s death, WHB I immediately married Jane Hill. They had five children – two boys and three girls – William Henry, Matilda, William Ezekiel, Martha, and Seleba. William Henry’s mother died in 1817 and his father in 1823. At the age of 19 in 1819, William Henry married Nancy Narcissus Young, and over the next twenty-five years, they had five boys and three girls – James Lafayette, Thomas Young, Jefferson Franklin, female who died, Richard Lane, Martha Ellen, Nancy Ann, and William Henry III. The female who died at birth was the twin of Richard Lane. The last child was born in 1846 in Georgia, and the 1850 census shows the family living in Lauderdale County, Mississippi. I don’t know why they moved. His wife died in 1857. William Henry died September 9, 1859. I do not know where they are buried. 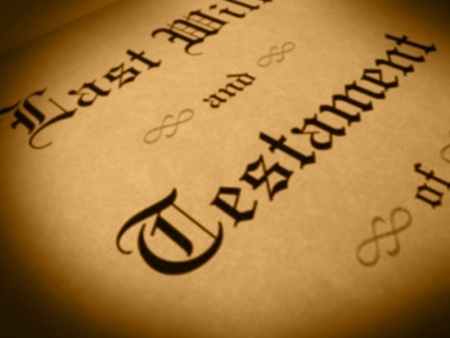 Will of William Henry Blanks II – Note: His wife is already dead, so he leaves everything to his two youngest children – Nancy 16 and William 13. The Last Will and Testament of William H Blanks… State of Mississippi Lauderdale County August 18,1859. P. S. It is my wish for Nancey & William to have their brother Thomas to hold their business in charge. Will Book 1, Page 17 Lauderdale County Courthouse, Meridian, Mississippi. This post is brought to you by On This Day.